Is there a better alternative to windOCD? Is windOCD really the best app in Desktop category? Will windOCD work good on macOS 10.13.4? Let windOCD put windows in their places! One Tool to find them. Arrange, align, and move all your windows with a snap of the fingers. No need for a mouse or to open yet another window first. One Tool to bring them all. Clutter is the enemy of any productive work and creativity. 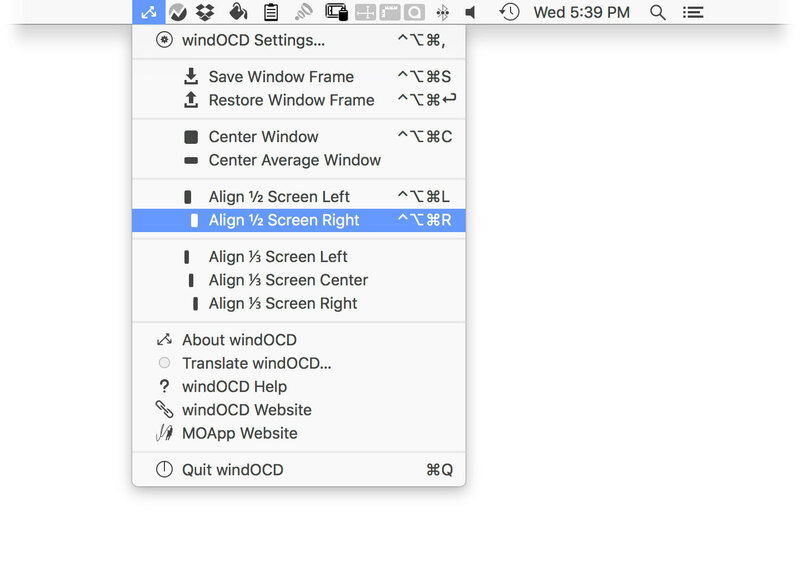 With windOCD you can bind all your windows closely; directly from the start. Replaces the MenuAndDockless on macOS 10.12 Sierra and later.